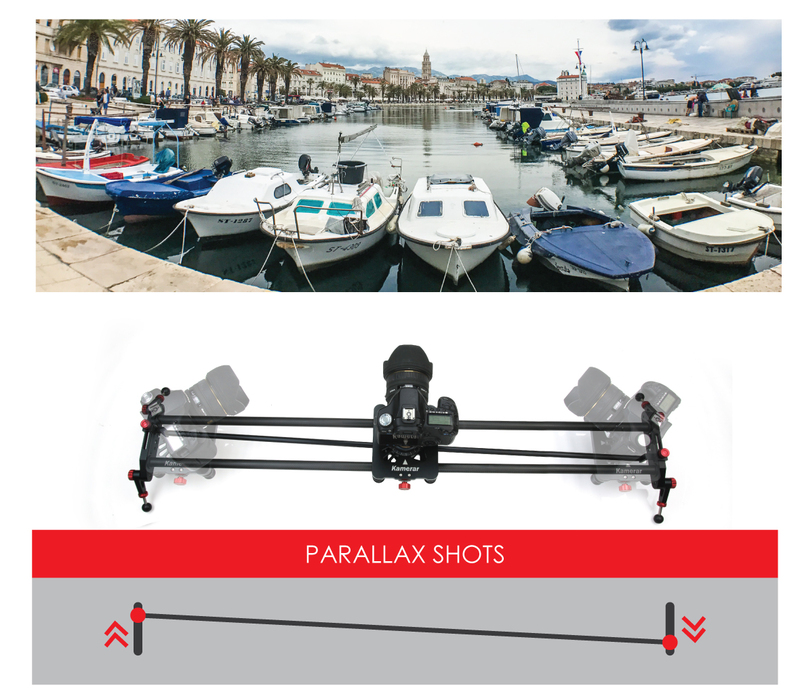 Pan-100 Track Rail Slider provides really great way to add a lot of cinematic production values to whatever you're shooting; whether it’s a traditional slider mode, a parallax mode or a panoramic mode - they're really great to add a lot of depth and dimension to your shots. 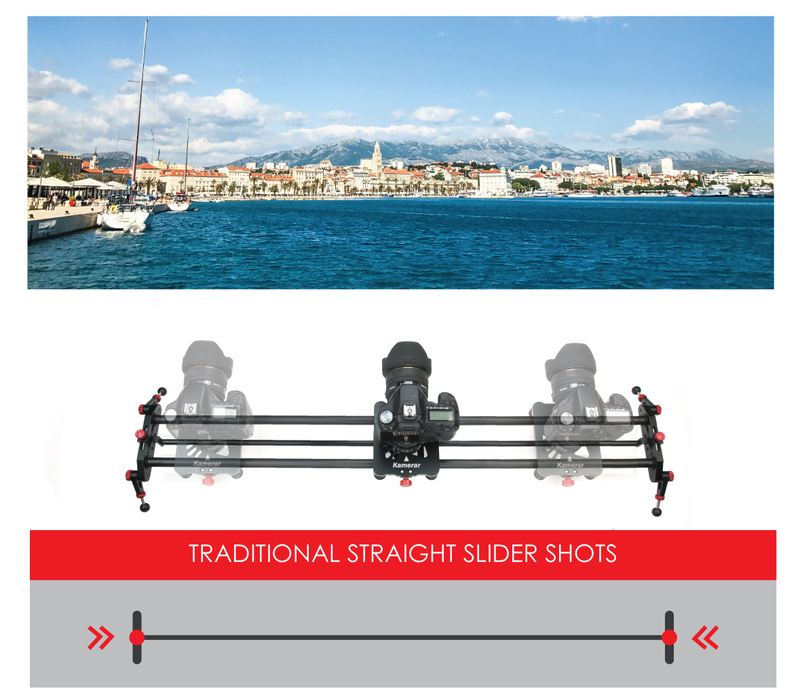 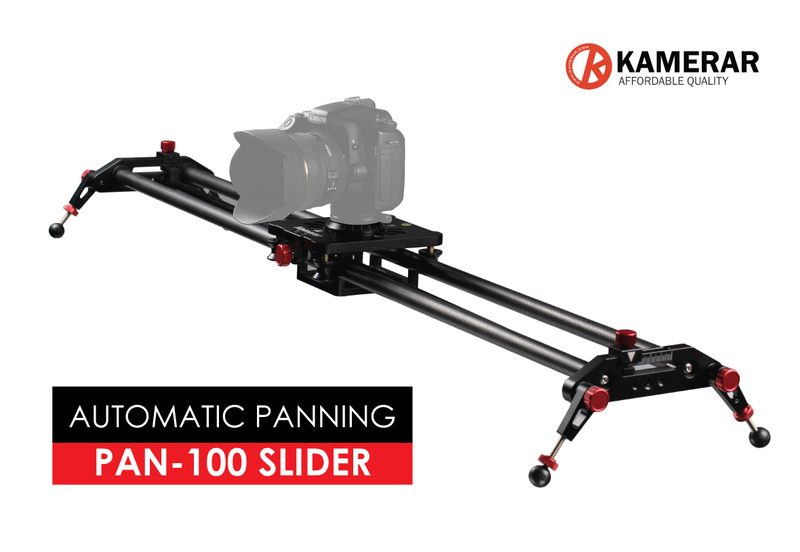 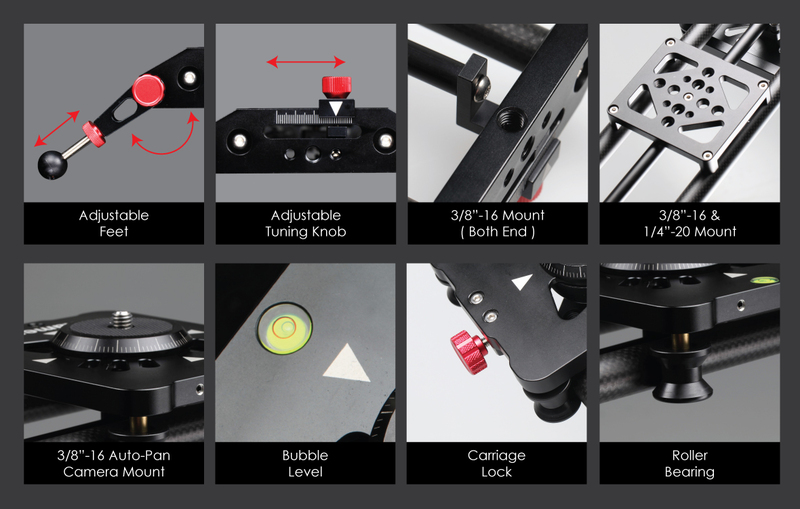 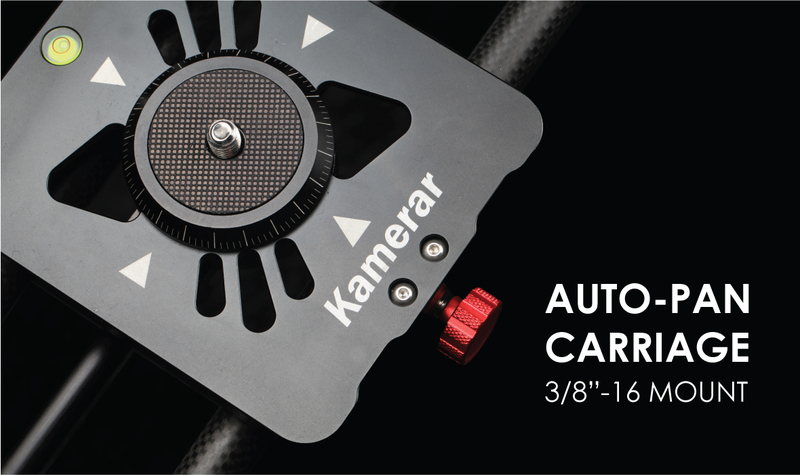 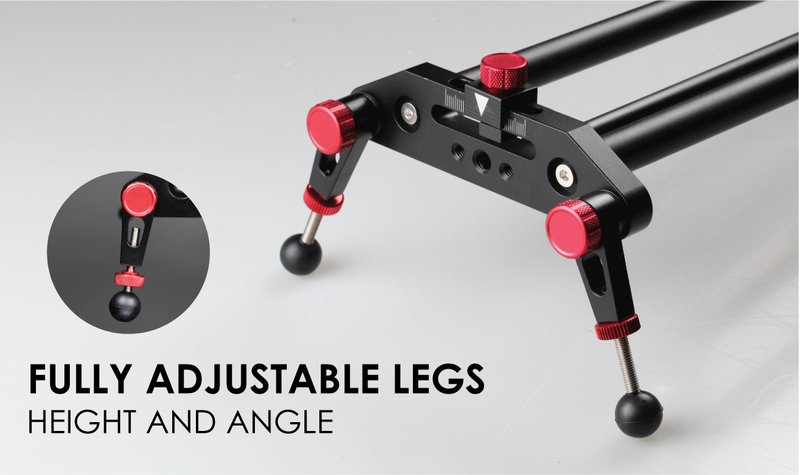 The Pan-100 Track Tail Slider features a high-grade carbon fiber rail system that is sturdy, yet lightweight. 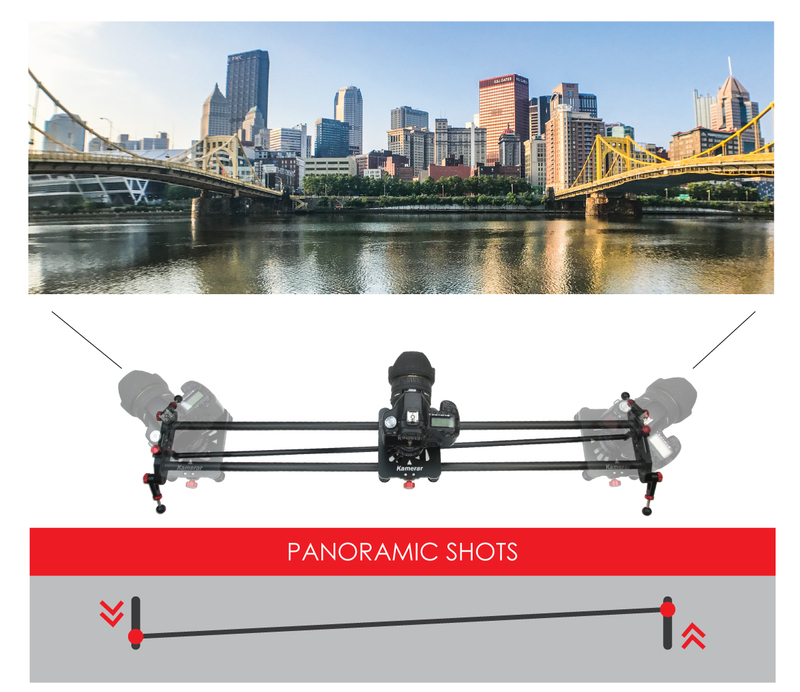 The dual rail build combined with the aluminum slider carriage work together to create a structurally tough frame that can hold up to 10 lbs of weight. 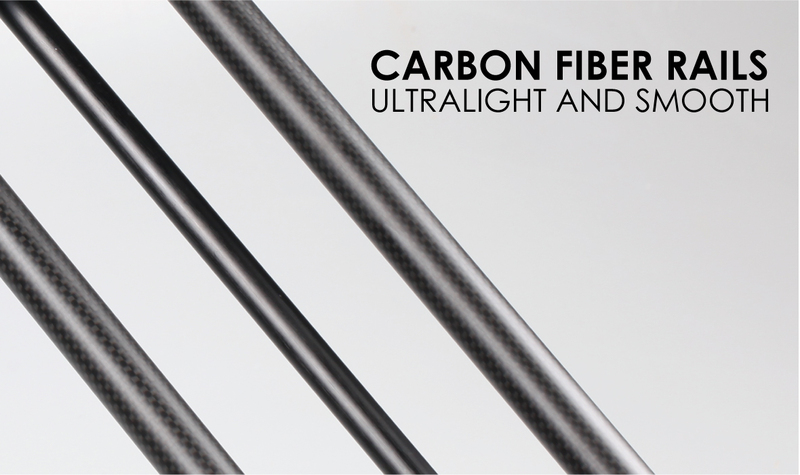 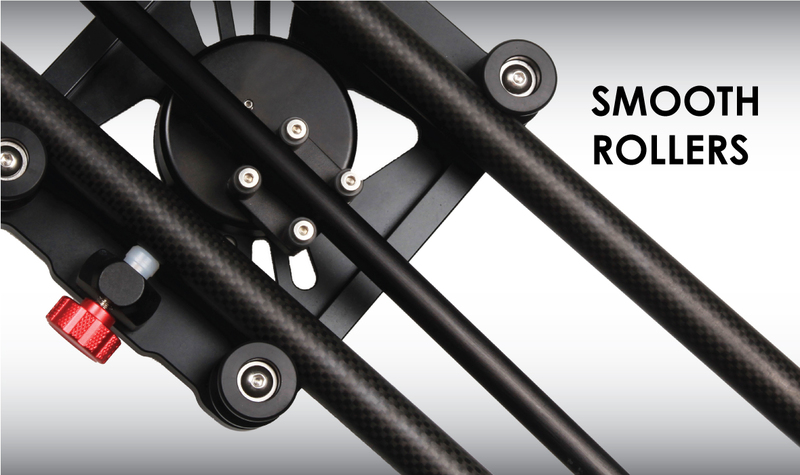 It features rollers that slide smoothly on the sturdy carbon fiber rails. 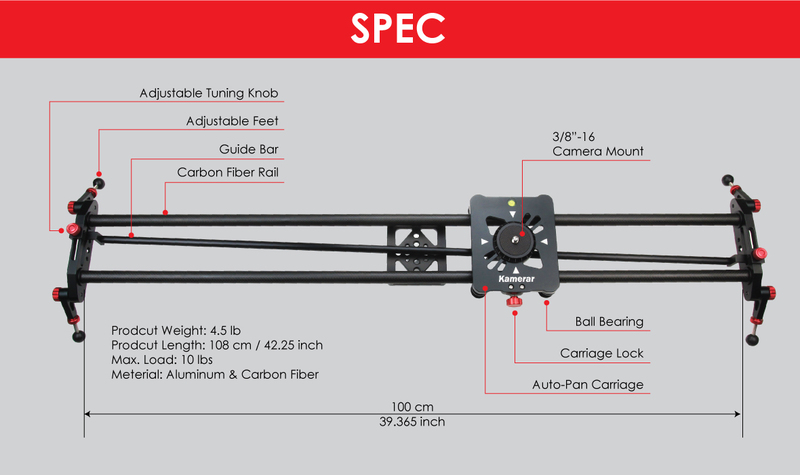 With the increased surface area of the rollers, the weight is distributed evenly and noise is greatly reduced from the sliding motion.